An explosion that ripped through an Aliso Viejo day spa on Tuesday, killing the business owner and two customers, appears not to have been the result of an accident, according to authorities. 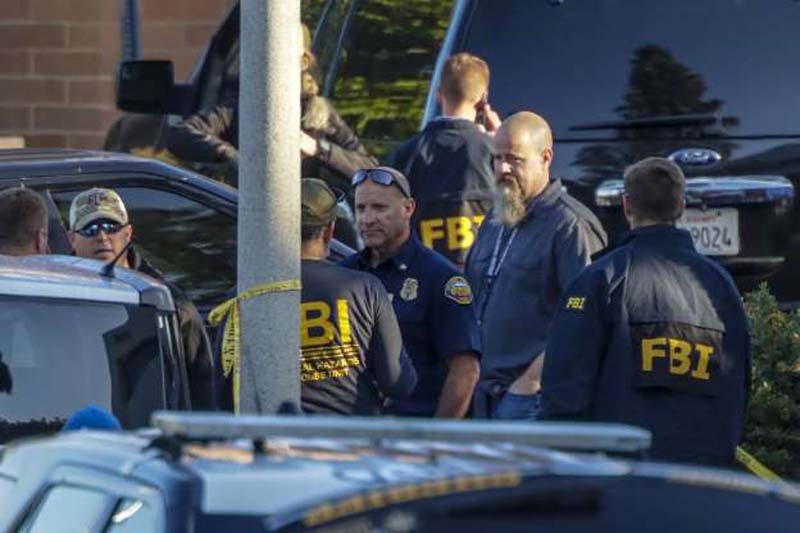 At a press conference Wednesday afternoon, an FBI official said the explosion appears to have been caused by a device that was "not consistent" with the beauty business, Magyar Kozmetika. The 1:10 p.m. blast rattled the suburban Orange County community and sparked a massive response from law enforcement. The incident is being treated as a homicide and evidence from the scene has been transported to the FBI's lab in Quanatico, Virginia. It wasn't clear how the device came to be in the business, said Paul Delacourt, assistant director of the FBI's Los Angeles office. The Orange County Sheriff's Department is leading the investigation with assistance from the federal Bureau of Alcohol, Tobacco, Firearms and Explosives and the FBI, officials said. Tuesday night, Orange County Sheriff's Cmdr. Dave Sawyer said that it was too early to determine whether the explosion was a bombing, and that investigators were interviewing those who were injured and had been taken to hospitals. The explosion shook the two-story building so forcefully that employees at neighboring businesses thought it was an earthquake. Some stepped outside, anticipating more shaking. Andrew Dyjak, the owner of a massage business inside the building at 11 Mareblu, said he realized it wasn't an earthquake when he got outside and saw the devastation. "There was one part of the building that was destroyed, like really destroyed," he said. "No windows, glass, and we noticed a small fire." Glass was everywhere, and part of the building's walls were damaged, Dyjak said. "For sure, we are closing for the day," he said. "I don't think anybody is planning on going back. And they probably have to check the structure." Besides Dyjak's business, the building housed at least one chiropractic office and a medical practice, he said. Laguna Niguel retiree Judith Hoel was sitting in a dental chair inside the Ocean Valley Dental Center across the street from the building about to get her teeth cleaned when she heard a "huge boom" and the clinic shook. "It's terrible to say, but I hoped it was an accident and not something that would be worse," she said. "It's a frightening world today." More than 30 bystanders stood across the street from the building Tuesday afternoon, snapping selfies and posting updates on social media. Several dozen employees of the medical complex sat in grassy areas facing the office. Rows of emergency vehicles blocked the streets as a helicopter hovered overhead. Augustine Tolar had been driving to lunch along Moulton Parkway, passing Oso Parkway, when the explosion caused him to stop. "I knew right away there would be a fatality. No way in hell could someone survive that big of a hit," said the customer service clerk from Laguna Niguel.